Things have been getting a little strange at the circus. For one thing, some of the spectators who come to the big top, often don't come out. The big cats seem strangely well fed and we've been finding watches and wallets in their cages. Something's not quite right, and we can't figure out who's to blame. Wait, has anyone seen Bozo? Does your child have nerves of steel? Do you catch your child peeping around the corner whenever you're watching a horror movie that’s rated way out of their age range? If you know your child is an unstoppable horror fan, there's no use fighting it anymore. Have you ever heard the phrase: if you can't beat them, join them? Unbeknownst to most people, this phrase originally was referring to killer clowns. Don't worry about paying for clown college this year. Killer clown instinct comes naturally. 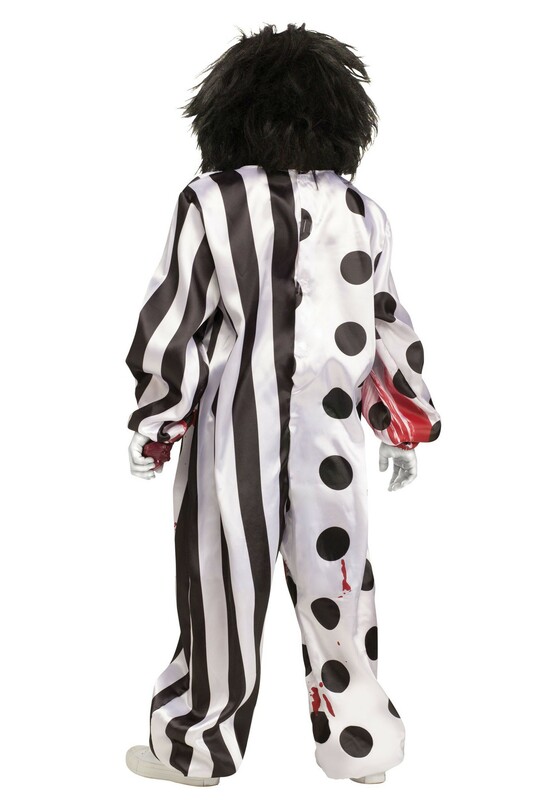 Watch your back though, the shenanigans are going to be less predictable when your kid is wearing this costume. Your gore enthusiast will have endless amounts of fun with the blood pump hidden in his sleeve. When the pump is squeezed the fake blood spills onto the mask. The costume comes with 2 ounces, but you might want to get a backup bottle for a refill. Your child will not be able to resist pulling this gory move for family and friends. 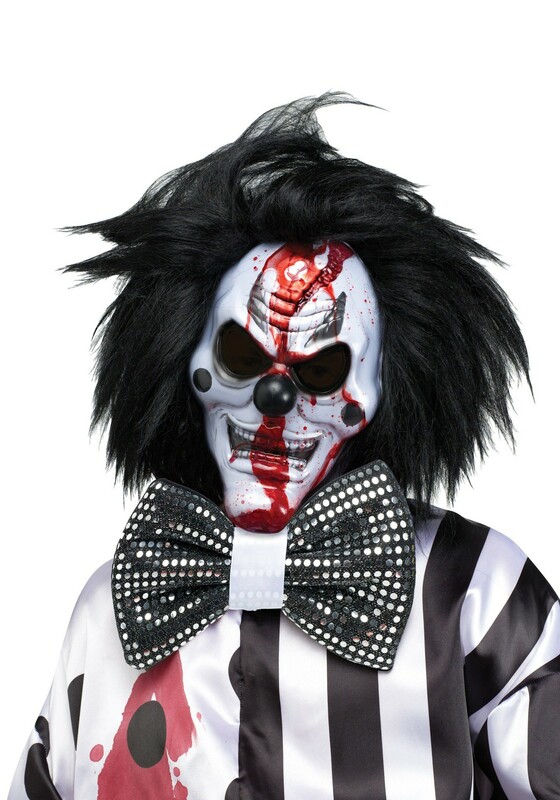 This costume would work wonders if your child has a place in a haunted maze or house this year, nothing gets more screams than a classic killer clown. Most holidays are about spreading love and cheer. This year, let your child get into the true spirit of Halloween and spread horror and fear. Costume was ripped in the front . . . The costume was ripped in the front, right down the middle . . where the seam is . . .and then frayed a little . 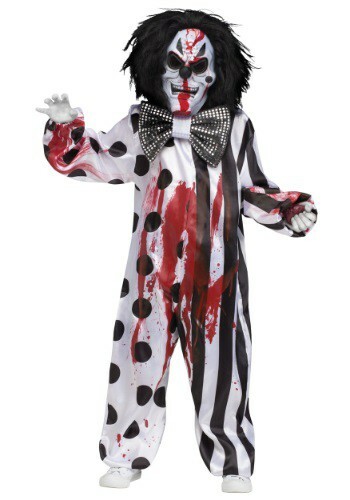 . . will not keep anyone from wearing the costume, but for what I paid for it I was very disappointed. There is no time to ship back and get another for when I need it . . .